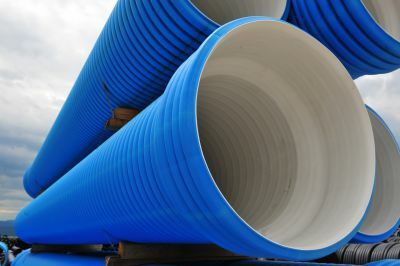 Polypropylene corrugated double-wall pipe for sewage underground networks non-pressure, produced according to SR EN 13476-3 norm, type B, standardised by the interior diameter. Produced in bars with a range of diameters from 200mm to 1200mm, with a rigidity class from SN 4 (4kN/m2) to SN 8 and SN 16. The quality is guaranteed by the BVQI certificate. 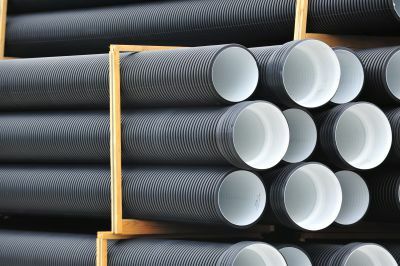 Polyethylene double wall corrugated pipe, for industrial and civil sewage non-pressure produced according to SR EN 13476-3 norm. The pipes are produced with a range of diameters from 160mm to 1200mm, with rigidity class between SN4 and SN8. The quality is guaranteed by the BVQI certificate.